These dogs are “indoor” dogs only. This does not mean garages, heated dog houses, barns, outbuildings, etc. You must be able, initially, to come home (or have someone come home) and let the dog out midday until it can get used to an 8 hour schedule. You must be able to spend quality time with your dog. If you work full time and are gone most evenings and week-ends, a greyhound will not work for you. They are very needy dogs that require a commitment of quality time and exercise. Must keep a collar with ID on your dog at all times. Must be in a fenced area or on a leash always. (They can never be tethered). We require a fenced yard, but not necessarily a large area; an x-pen, or small fenced area where the dogs can relieve themselves would be fine. In addition, electric fences are ineffective on greyhounds as they are sight hounds, and they will chase squirrels and rabbits when they see them, regardless whether they are receiving an electrical shock or not. We only adopt to families in the Kansas City metro and surrounding areas. (Must be in driving distance of 2 hours or less) We do not send dogs out of the Kansas/Missouri area. Must have the ability to financially house, feed, and provide needed medical care for their greyhound, including keeping the dog up to date on vaccinations and year-round heartworm preventative. If renting, we require written approval from your landlord at the time the application is submitted. We are looking for families that are willing to make their greyhound a FAMILY MEMBER and are committed to caring for their companion for the rest of its life!!! Please know that KCREGAP reserves the right to refuse future greyhound adoptions to reported off-leash owners, or to owners who jeopardize the safety and well-being of the greyhound while in their care. 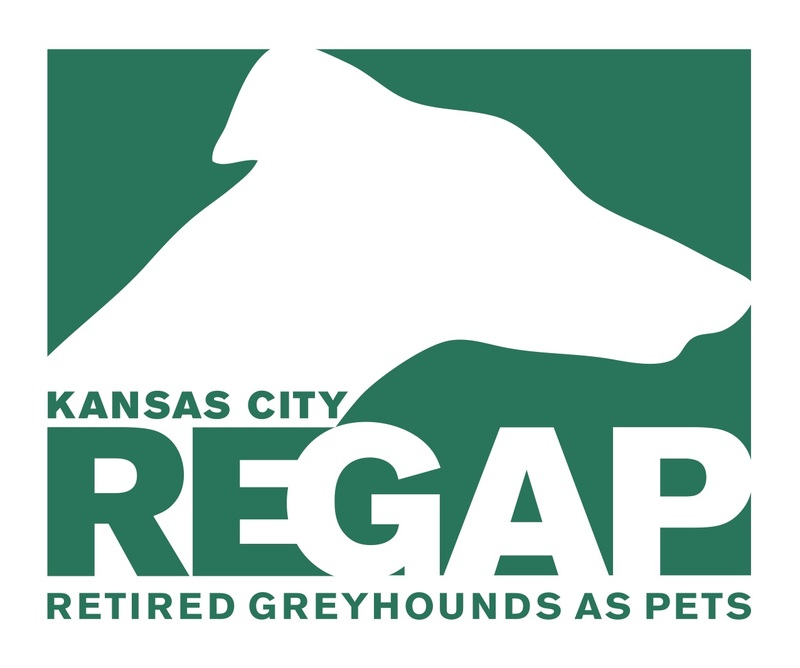 It is an unpleasant action to take, but it’s part of KCREGAP’s commitment and responsibility to keep our greys safe. Once we receive your adoption application, you will be contacted by one of our adoption/home visit coordinators to discuss your application, answer any questions you may have, and set up a time for a home visit. We will also contact your references prior to the home visit. At the home visit, we will check your yard to make sure that the fenced area is secure, and that there are locks on any gates, and to look for any potential injury hazards in the yard. We will also talk about life with a greyhound including easing the transition from their foster home to their forever home, and breed-specific traits, tips and information, and also discuss which adoptable may be a good fit for your home. Once the home visit is completed, and all goes well, we will set up a time for you to meet potential new furry family members. The ownership of a greyhound, like any pet, is a serious responsibility that requires a commitment for the lifetime of the pet. It is also quite true that not every person who desires to own a pet should own a pet. It is the goal of the REGAP adoption program to be sure that this responsibility, as well as the financial, psychological and physical needs of each greyhound are met in its new home. The adoption application has been designed to help prospective greyhound adopters address the issues that would directly affect their home and its suitability for a greyhound, as well as aid our staff in applicant evaluation.